Once they learn how to use the pieces newcomers are often over eager to get a piece in the action. A knight or bishop comes off the back rank and then it zooms across the board to be taken thanks to over eagerness. Chess isn’t a game where one piece can do all the work. 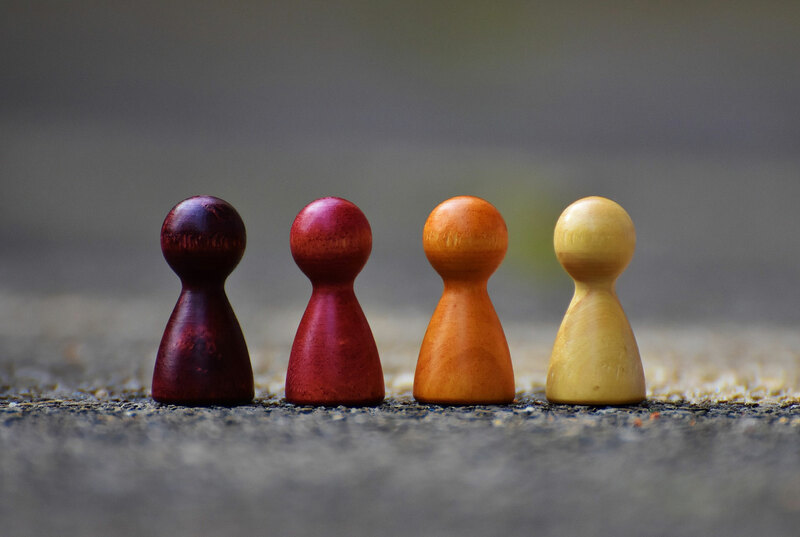 There are eight pieces and eight pawns for a reason; they work together to attack and overwhelm the opponent. A quick tactic might involve one piece but the strategies and long term goals will always involve the whole army. At the start don’t rush to get one piece out but develop both knights and bishops, getting them off the back rank. Once the opening is done move them all onto better squares, get the queen off the back rank (but not too far) and pull the rooks across to support the center. Use all your pieces and you’ll soon be defeating all those players who think they can outdo you with one or two. Once you know how the pieces move, one of the first things you have to learn about is attack and defence. In it’s simplest form, attacking is when we move a piece so that it might take an opponent’s piece next turn. This doesn’t mean it is safe to do so, but by creating an attack it puts a threat on the opponent that they have to check, if not do something about. We can also attack a square, where we aim a piece so that it could ‘take’ an empty square. Attacking squares is important because it makes it safer for us to put our pieces on the square and makes it more difficult for the opponent to put their pieces there. If it is safe for us but not safe for our opponents we say we are controlling the square. Defence is when we put our pieces where we can ‘take’ our own piece, or we move a piece where one of our own is threatening to ‘take’ it. Defence is important because when the opponent takes an undefended piece, you cannot take back and will lose points. White can castle both sides, king side and queen side. Always move the King before the Rook. The diagram above shows the final position of each castling side. One of the last types of move you’ll learn is the castling move, a special tactic where the king jumps two to the side and the rook leaps over.One of the last types of move you’ll learn is the castling move, a special tactic where the king jumps two to the side and the rook leaps over. 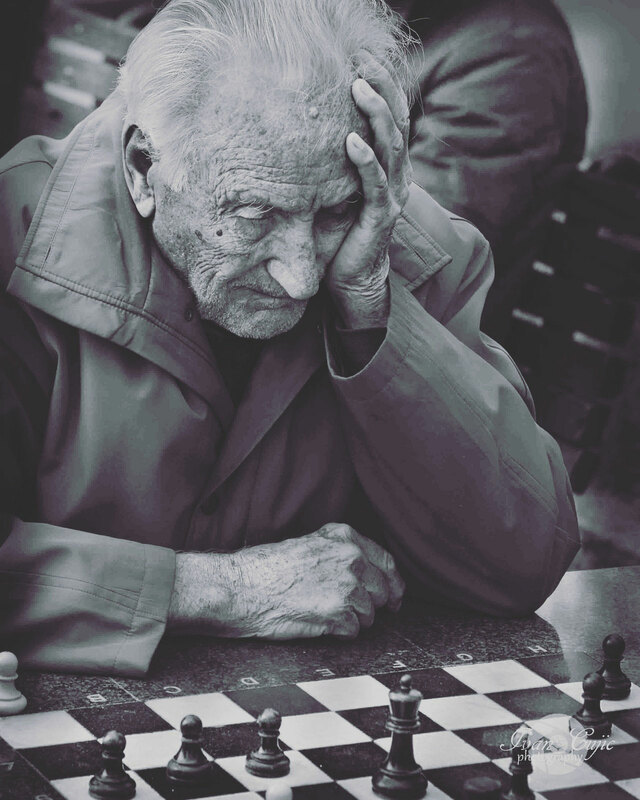 Chess has moulded itself over the years into the form we know today. From its origins in the form of the game Chaturanga, developed by the 6th century AD, its has morphed its way through Persia and into Southern Europe. By 1200 it was changing, slowly becoming the game that we know today. Before this point, chess was a slow, strategic game where pieces gradually took important places on the board. This is not to say that this style of game does not occur today, but the way in which chess was played became something totally different in the early second millennium. Players wanted a faster game and so the slow plodding pawn would gain the ability to move two spaces in the 15th century. Couple this with the queen speeding up around 1300 (initially it could only move one square diagonally), the faster bishop around 1200 (from its two square origins) and the fact that the king could be taken, the king’s position became a lot more precarious. To combat this, casting was developed by the 14th to 15th century. The king could be tucked away safe and the rook could be developed to aid the centre, a worthy move. It meant chess could still have the aggression of the fast pieces, but would not be over too quickly. Castling can be made either side but there must be no pieces between the rook and king. The rook and king cannot have moved. Even if they have moved away and then back to their original squares, this is counted as moving and therefore castling is not allowed. As usual, the king cannot castle into check. Castling cannot be used as a way to escape a check. You cannot jump over a check when castling. This basically means if the square next to the king is being attacked, you cannot castle. Remember, castling is done in nearly all games (especially at the beginner/intermediate level) and is important for keeping the king safe, as well as development of the rook. 1 point – The pawn: The pawn is the slowest piece for most of the game, handicapped by the fact that it can’t move backwards. 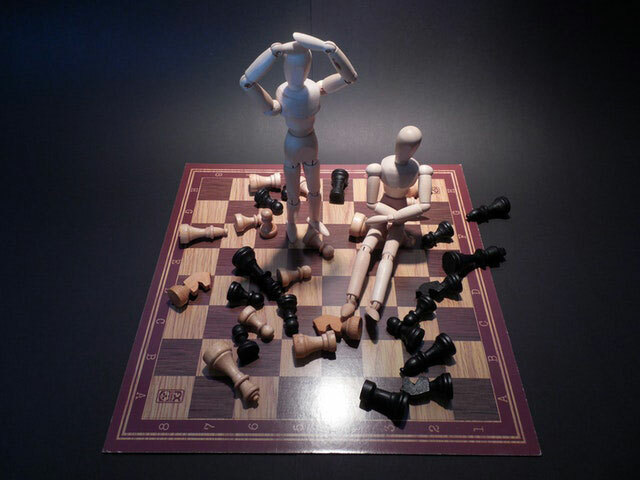 Many strong chess players state that you should ‘think twice about moving a pawn’ because you simply can’t undo it. Ironically, they are probably one of the most important pieces on the board as although their value is low, there are eight of them. When pawns work together, they can be unstoppable. 3 points – The knight: Still slow and having a strange move pattern (thanks to its L shaped jump), it does have a strong bonus in that it can leap over pieces. No other piece has this ability and so it is equated 3 points, not 2. 3 points – The bishop: Fast and zooming around the board, the bishop is quite a dangerous piece but it has some disadvantages. Unlike the knight, it cannot get onto other colour squares (if its on the dark squares it stays on the dark squares) and it can be blocked off. One of its main strengths is that you can checkmate with two bishops whereas you can’t checkmate with two knights. In addition, bishops tend to get stronger as the game moves along as the locked pawns break open. This gives them extra space to move and it is why they are sometimes considered a slightly higher value than knights. 5 points – The rook: Two rooks can dash around the board just as fast as a bishop, but rooks can get to the light or dark squares. In addition, a checkmate with the rooks can be much easier as they work together to barge their way through. 9 points – The queen: Fast and deadly as she goes in any direction, the queen can get nearly anywhere on the board and checkmate quickly. Her only downfall is she cannot checkmate on her own, needing help from other pieces whether they are yours or the opponent’s. With these values kept in mind, you can judge whether exchanges are good or not. An attack and defence, that we have discussed before, often results in a piece or two being taken on both sides so you must consider who gets the most points. The more points we have left on the board, the more we have to attack and overwhelm our opponent, eventually leading to a checkmate. When I chatted about attack and defence, it illustrated how we need to think in chess. Beginners often make a move with their own ideas at hand without considering what the opponent’s plan is. This is one of the most basic mistakes of chess, not considering how the player will reply. So many times, I have heard beginners say ‘I put my bishop there so I could take their queen next move’ only to leave their bishop where it could be taken totally undefended. So how should you be thinking during a game? What are your opponent’s tactics? – They’ve made their move and you so want to make yours but instead you need to stop and have a think. Why did they actually make that move? Where can the piece go now its on a new square? Is there something unblocked now it is no longer on its original position? 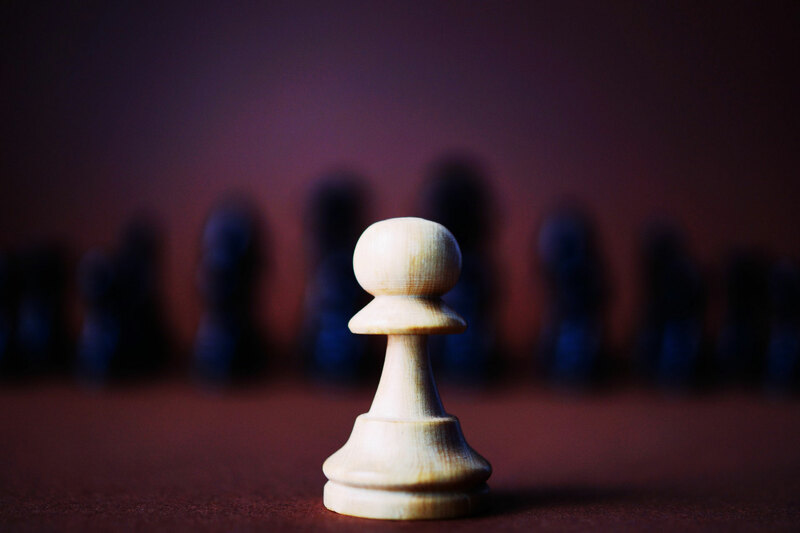 Look for the immediate threats; are they trying to checkmate; is it a threat to take something; or is there some other sneaky trap such as a fork or disclosed attack. What are your opponent’s strategies? – So you’ve taken a look and found no traps coming up because of the move. Does your opponent’s move matter? Yes! There is still a reason why they made the move, even though these are long term goals. Are they trying to put their piece on a square where it can move around more? Are they making their king safe? Is this a challenge for the strong central squares? Ask yourself what their plan is and then, if you think it is important, work out a way to stop or challenge it. Remember that a move that gives tactics can also give strategies so you have to think through both of these. Do you have tactics?​ – Now you’ve checked you are safe and you’ve looked for ideas as to how to challenge your opponent’s strategies, its time to think of your own tactics. Has the opponent’s move allowed you to come up with any tricks and traps? Have they left themselves open for a checkmate? You may have been setting up a tactic for the last couple of moves so is this the move you should launch it? What are your strategies? – So you have no tactics or traps or takes that win points. Now is the time to consider your long term plans. You’ve probably already got a strategy set up much earlier in the game (well you should have!) but this modifies itself according to the way your opponent plays and the mistakes that are made. There may be better strategic moves now, or perhaps you’re ready to move that piece that claims the open file. Can you continue building up the attack on the kingside or is it time to launch the pawn storm on the queenside? Really its swings and roundabouts. There’ll often be times when your opponent’s move has tactics and strategies but you can still use both as well. You have to way up what is best which has the most advantages and the least disadvantages. A move may improve your strategic plans significantly but give your opponent a tactic that may give them some edge (think of a sacrifice where you give up points to have a better attack going). On the other hand, a strategic move by you might also give your opponent options. In the end, its down to you to decide which is best. Do nothing! : Well you probably didn’t see this one coming! 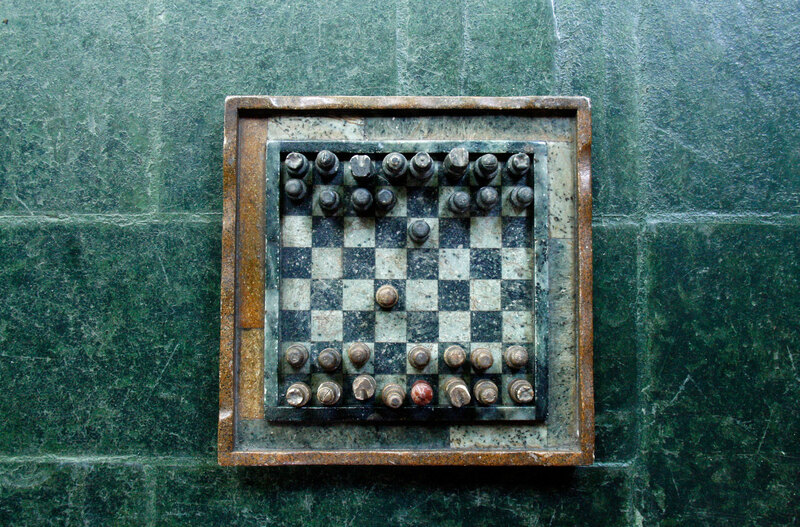 We’re so eager to do something in chess we often feel that we have to defend or run away. However, we have the option of ignoring the attack. There are often times when a response is not needed, when it is actually wrong to do something because it wastes time that could be used elsewhere on the board. If the piece is adequately defended and there is no significant advantage for the opponent to swap off, then why waste the move? Just leave the piece where it is and get on with the game! Defend: Remember that article I wrote on attack and defence a long time ago? When a piece is attacked we often have the choice of defending it with one miniature from our army. This can bog pieces down and let the opponent put pressure on, but it can also have advantages. If defending a central pawn means you get your knight off the back rank in the process, then there has been an advantage for you. Run away! : There’s nothing shaming about running away in chess and sometimes its the only option. Pulling back does hinder your development but if there’s another good square for your piece to go to you can sometimes guide its withdrawal to this strong point. Block it: Putting a piece in the way is an option that is often missed. This is usually because the piece sometimes becomes pinned and stuck. If the blocking piece moves again the attacked piece becomes exposed. However, this can be a strong method of coping with the threat if the blocking piece launches an attack itself! Bishops and pawns are often put in the way of an attack to aim at the once aggressive piece, immediately putting pressure on the opponent. 1. When you look to see if a square you are moving to is attacked, count up all the opponents pieces that are attacking it and all your pieces that are defending it. If you have more pieces defending than they have attacking, it should be safe to move there. 2. Be careful of the opponent’s pieces when they are lined up. A bishop and queen on the same diagonal, two rooks on the same file; these are just two examples where both pieces are working together and count as two pieces attacking as one. 3. Having more pieces defending doesn’t always work, you have to think through the points value. An exchange of pieces may result in you losing more points than your opponent. For example, an opponent’s pawn takes a pawn so you take back with a rook. A knight takes the rook and you take back with your queen. Both players have gained two pieces but the opponent has gained six points (pawn = 1, and rook = 5) whilst you have only gained four (pawn = 1, knight = 3). 4. You have to think through all the combinations. This is where chess can become quite complicated, calculating all of the possible ways in which the exchanges could take place. There may be a reason why carrying out an exchange in one way is better than another (for instance one might end in checkmate) and these all have to be thought through. As you get more experienced at the game the patterns and combinations become easier to spot and calculate but it still takes a lot of time. In one of the most complicated positions I played in I took half an hour over a move and should have taken longer! One of the earliest weaknesses in chess is a new player’s need to rush and this won’t allow them to think through combinations. Take your time and you’ll come out on top.